Have some questions about all the fun you can have at Kings Island? Well, you've come to the right place. Here's a list of some of the most common questions we hear from our guests. Take a look and see if you find what you're looking for. 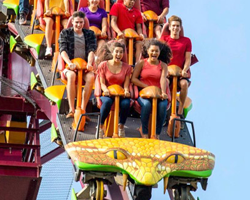 Save big on the price of screams! The best deals on Kings Island general admission tickets is available online, or Kroger stores. The ordering process online is quick and easy. After making your purchase, simply download and print your tickets. Kings Island does not offer a non-rider discount. Kings Island has a one-price admission as we're a multi-faceted park, not just a ride park. In addition to rides, Kings Island has live shows, roving characters, shops, restaurants and the 33-acre Soak City Waterpark which features more than 50 water activities. Kings Island does not issue refunds or exchanges on Tickets and Season Passes. Admission tickets and Season Passes are non-refundable and non-exchangable for any reason after the order transaction has been completed at the front gate, online, by phone or when purchased at Kroger. This includes weather-related events. We do not issue rain checks. Please check local weather conditions prior to planning your visit. Guests age 2 or younger are FREE and do not require an admission ticket. No need to panic. You can have your tickets printed for you at Ticket Services located to the left of the Front Gate. You will need to present your order confirmation number and a photo ID. If you forget to bring your season pass, please proceed to any ticket window located at the Front Gate. With proper identification a temporary pass will be issued. The temporary pass is only valid for that day and there is a maximum of three temporary passes per guest per season. A nominal processing fee will be assessed to replace a lost or stolen season pass or a forgotten pass after the third temporary pass has been used. Guests can receive full credit on their admission towards the purchase of a season pass. Stop by any ticket window at the Front Gate for details during your visit. Upgrading your admission towards a season pass must be done during the day of your visit. Some attractions may close in inclement weather until conditions permit safe operation. Please enjoy a live show, meal or shopping until such weather passes. Kings Island cannot issue rain checks or refunds for inclement weather. No outside food, beverages or coolers are allowed to be brought into Kings Island or the Soak City Waterpark. Exceptions are made for Guests with special dietary needs to include food allergies and baby food and formula. Guests with special dietary needs should stop at Guest Services located at the Front Gate when they arrive at the Park. If you wish to leave the park and return on the same day, please have your hand stamped at the Front Gate. If you wish to leave the parking lot and re-enter, present your parking receipt to the attendant when you return. Please be advised there is no re-entry after 6:00 p.m. during Halloween Haunt nights. Does Kings Island have ATMs? Does Kings Island offer a military discount? We are pleased to offer a discount off the regular Front Gate admission price to active and retired members of the military and veterans. 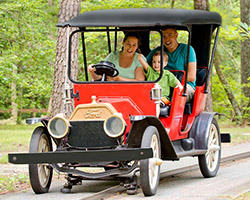 The discount offer is avaialble online and at the park and is valid for up to six (6) family members. The discount price may vary throughout the season. A valid military ID must be presented to receive this offer. A limited number of wheelchairs and electronic convenience vehicles (ECV) are available for rental at the Rental Center on the left just inside the Front Gate. However, since wheelchairs and ECVs are rented on a first-come, first-served basis, we urge guests to bring their own wheelchair. Do you allow pets at Kings Island? Only service animals are permitted in the park. Kings Island does not have pet care facilities on site. What is the policy on alcoholic beverages at Kings Island? Guests must be at least 21 years of age to purchase, possess or consume alcoholic beverages at Kings Island. Valid State issued identification or valid driver's license is required upon each person purchasing, possessing or consuming alcoholic beverages. Alcoholic beverages are not permitted while in line for any ride. Alcoholic beverages are not permitted to be brought into Kings Island from any outside source or in any type of container. What forms of payment does Kings Island accept? Kings Island accepts cash, credit or debit cards from American Express, MasterCard, Visa and Discover. A valid driver's license must be presented when using a credit card for purchases at the park. 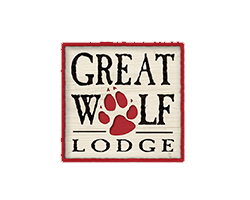 For the convenience of all our guests, smoking of any kind, including vapor and e-cigarettes, is allowed only in designated smoking areas. Please refer to our map for specific locations. Smoking and vaping is not permitted in any store, theater, ride line or waiting area, ticket line, food line and any indoor or outdoor restaurant seating area. Lockers are available for rent in different areas of the main park and in Soak City. The park is not responsible for lost or stolen items. What kind of dining experiences does Kings Island offer? Guests can enjoy regional favorites and name-brand choices like Skyline Chili, LaRosa's Pizza, Chick-fil-A, Panda Express, Cinnabon, Graeters Ice Cream and Starbucks. There's also traditional amusement park favorites such as hamburgers, hotdogs, deli sandwiches, burritos, tacos, taco salads, BBQ chicken and ribs and smoked turkey legs. Kings Island is also famous for its blue ice cream! Your admission to Kings Island includes all rides, live shows and attractions, and our 33-acre Soak City Water Park. 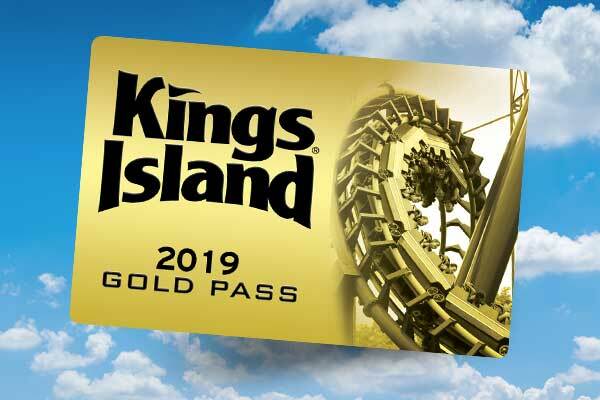 Your admission ticket does not include two paid attractions (Sling Shot and Xtreme Flyer at Kings Island) or events which require a separate admission. Parking is $17 per vehicle for regular parking and $27 for preferred when purchased in advance online. A limited number of handicap parking spaces are available near the Front Gate on a first-come, first-served basis. Can I use my season pass to get into Halloween Haunt? Halloween Haunt is included free with park admission to Kings Island. Guests with a 2019 Gold or Platinum season pass can enjoy unlimited admission during public operating days in the fall. Regular season passes are not valid for admission to Kings Island during public operating days after Labor Day. Re-Entry is not allowed after 6 p.m. for both ticket and passholders on Halloween Haunt nights. Can I wear a costume or face paint into the park? Children age 12 and under can wear costumes, masks and/or face paint when visiting Kings Island during our Halloween event as long as it does not hide a ticket/passholder's identity. If there is any question about a ticket/passholder's identity, Kings Island reserves the right to ask that the mask and/or face paint to be removed. Kings Island reserves the right to deny admission to, or remove, any person wearing attire that is inappropriate or could detract from the experience of other guests. Parents like to have fun too! We know Parents like to have as much fun as the kids. To make it easy for Mom and Dad to enjoy the rides too, we offer the Parent Swap Program. Here's how it works: one parent waits in line to ride a thrill ride or other height-restricted attraction. After riding, they give their Parent Swap pass to the ride operator and the other parent/guardian, who has been taking care of the little ones, can walk up the exit or alternate access lane to get right on the ride. To participate in Parent Swap, parents need to obtain a slip to authorize them for the program at Guest Services located at the front gate. Kings Island offers a service to quickly reunite separated children and parents with cell phones. Please sign up for this service at Guest Services located at the front gate, the Help Center next to the Fast Lane booth, the Family Care Center across from Chick-fil-A, or Soak City Waterpark Guest Services. Kings Island does not tolerate guests who fight and/or harass other guests while on our property. People who engage this behavior are subject to being ejected and potentially banned from the park, and may be subject to arrest by local police. For safety reasons, we cannot permit on-ride photography of any kind on any ride other than the Eiffel Tower and the Kings Island and Miami Valley Railroad. Due to the potential for water damage, White Water Canyon, Congo Falls and Race for Your Life Charlie Brown riders should leave their cameras and other valuable items with a non-rider or in a locker. Use of camera phones or any type of photography or video recording devices is prohibited in any rest room or Soak City changing area. Guests taking pictures or video while riding may be asked to leave the park with no refund given and a misdemeanor under O.R.C. 1711.551.